No, this isn’t another post about Motor Man’s wardrobe. Although, judging by the title, I can see where you would think so. In the midst of this cold, dreary winter, I’ve been looking back at photos taken last summer and found these. When Donna, my niece, and her son, Connor, were visiting, we went riding out on the country roads one day. Connor, being 7 years old, was becoming a bit tired of hearing his mom and aunt talk. And talk. And talk. He wanted to do something FUN. 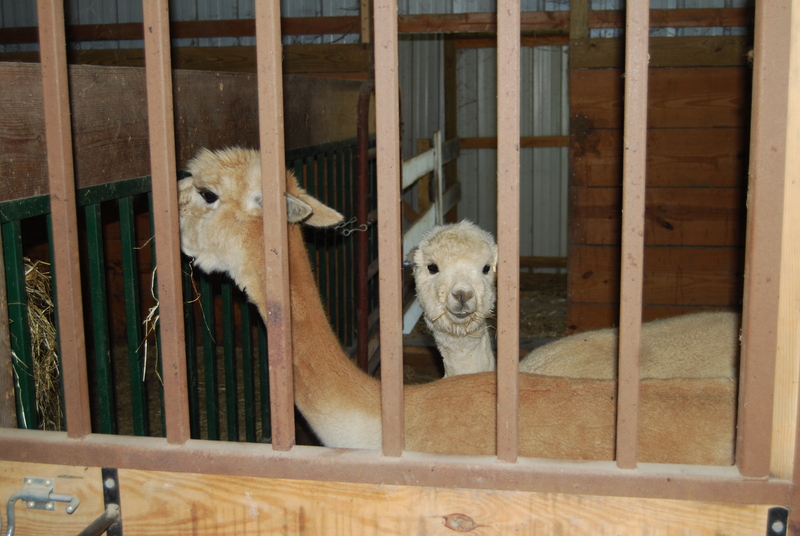 And then…..we happened to see a sign for an alpaca farm. This is less than 10 miles from where I live, but since I don’t normally travel in that direction, I didn’t know it was there. 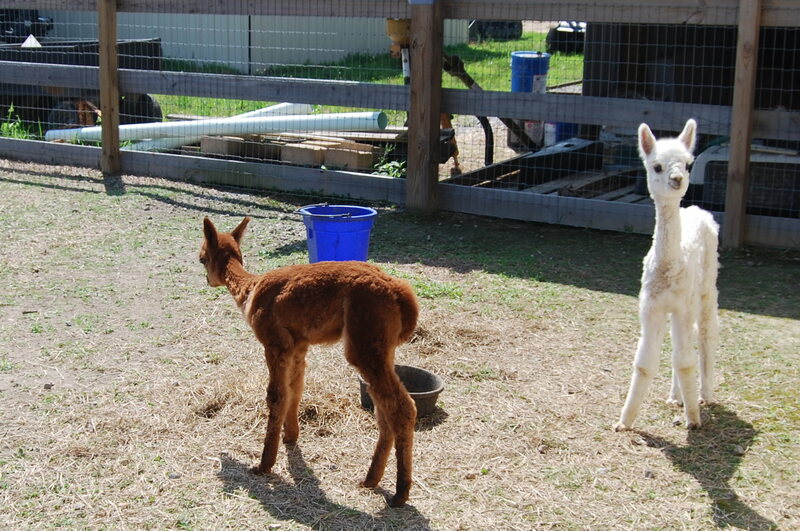 I wanted to take this precious little white baby alpaca home with me. It looks like a little stuffed animal. Is it my imagination or does it appear that these two are sneering at me? Especially that one on the right…. I would love to know what this one was thinking as he stared at me. 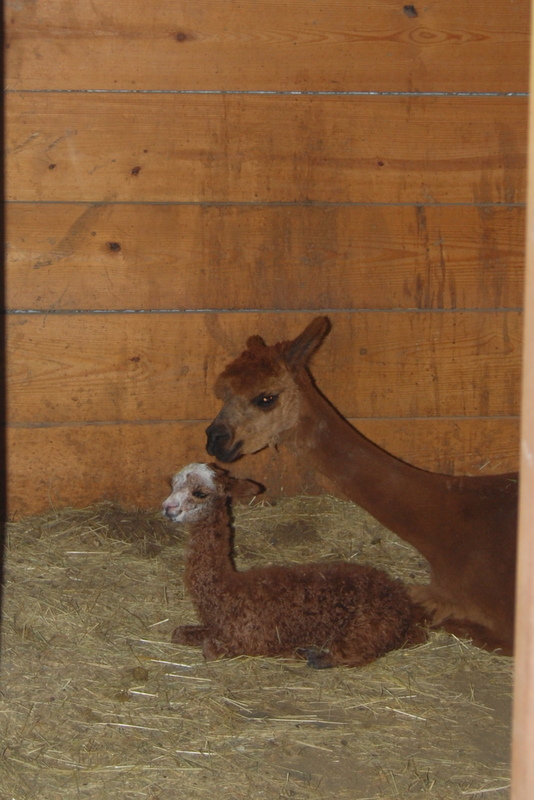 To add to the excitement of finding this farm, a baby alpaca had just been born. I warned you about the cuteness factor. 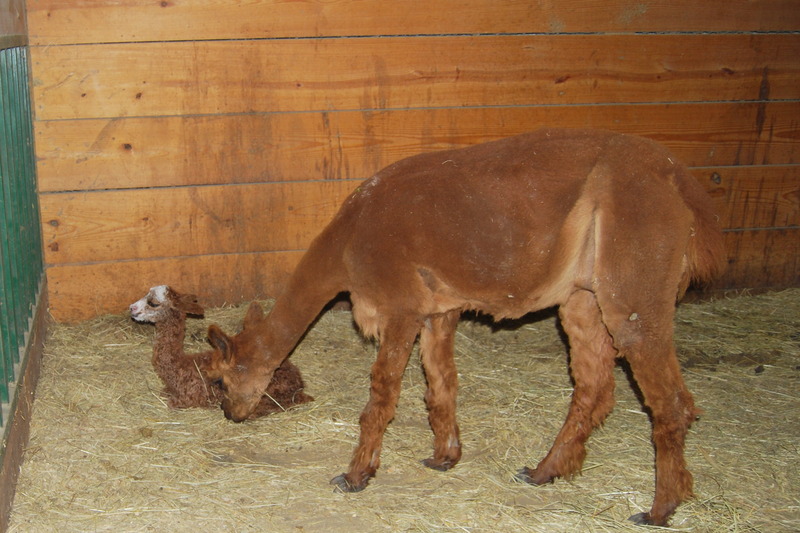 Mama alpaca was not moving far from this little one. Connor thought this was much more fun than listening to his mom and aunt talk. And talk. And talk. 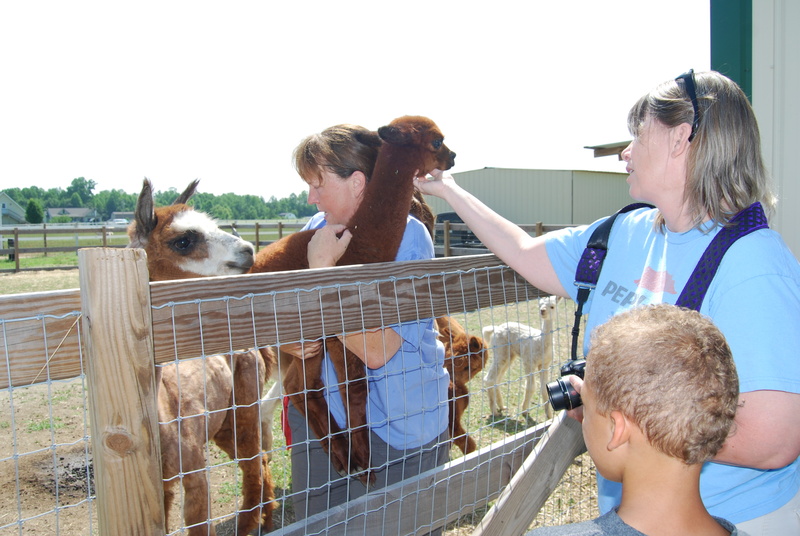 At least when we left the alpaca farm, we had something new – and fun – to talk about. 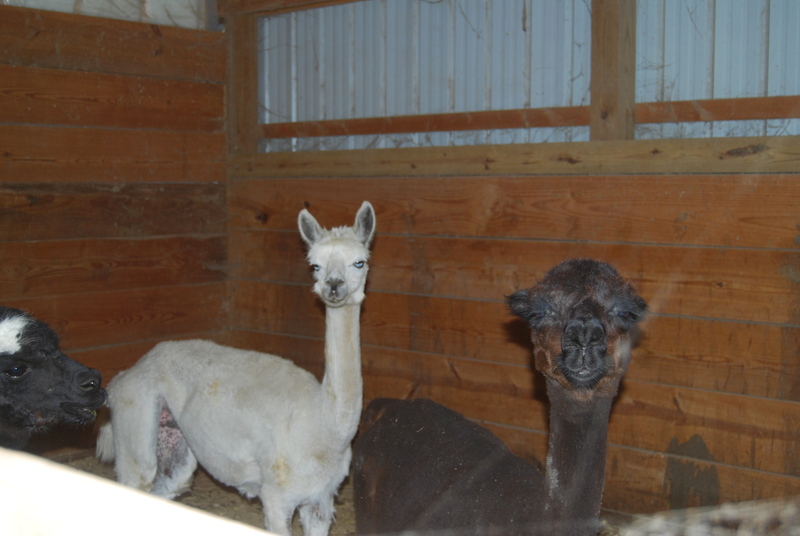 Something tells me we’ll be traveling in the direction of the alpaca farm again during Donna and Connor’s next visit.